Equilar | After Uber Rumors Pass, What Is Meg Whitman’s Future at HPE? Over the past few weeks, rumors swirled that Meg Whitman, CEO of Hewlett Packard Enterprise, was strongly in the running to become the next CEO of Uber. With that rumor now laid to rest, The Wall Street Journal recently published a profile of Whitman that noted while she’s not leaving yet, there is some credence to speculation she may be moving on. Having joined Hewlett-Packard following a stint as chief executive of eBay and a run for California governor in 2010, Whitman helped spin off Hewlett Packard Enterprise (HPE), where she is now the CEO. Whitman told the WSJ that she originally said to the HP board she’d stay for five years, and it’s been six, so even though she admits there is still work to be done, it’s not out of the question that she may be out the door in the coming months. Over the course of her executive and board career, Whitman has amassed one of the largest networks in the Equilar BoardEdge database of more than public company leaders. Specifically, she has direct connections to 223 executives and board members at 150 companies with whom she has worked as either a director or the leader at her respective companies. 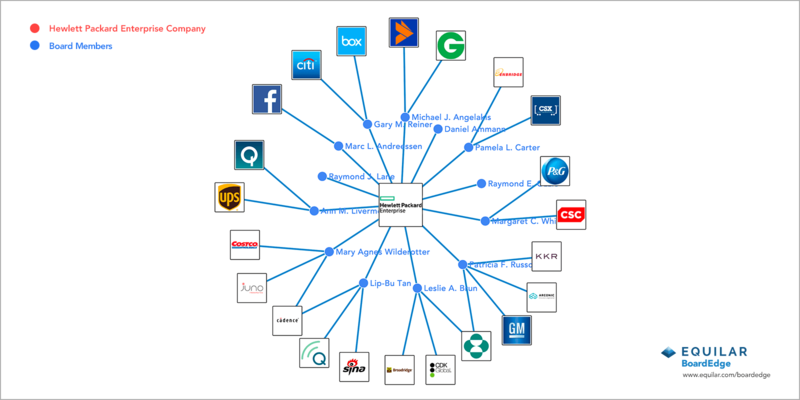 While the odds of Whitman ending up at any of those companies are difficult to predict, a deeper dive into the vast web of who she knows at the highest levels of corporate America could provide some clues as to where she may end up if and when she leaves HPE. Download Whitman’s board and executive connections by clicking the image below, and view her direct relationships to other top leaders at public companies. A 2016 Equilar BoardEdge analysis found that the average board member of a Russell 3000 company had 60 connections. At large-cap companies, that increased to 94 connections. And for women directors at large-cap companies, the average was 80. In other words, Meg Whitman has about three times the connections of all other corporate women leaders at large-cap firms, and nearly four times over the average for all public executives and directors. In fact, while she did not make the list in that study, her current connection count would have made her the 10th most-connected female executive in the U.S. Regardless of where she may end up in the future, the end of her tenure at HPE would be notable considering that as one of the few women CEOs at a large-cap index company, a departure would further diminish the ranks of female executives, where there already has been some attrition in recent weeks. In addition, she ranked highly on the list of the most well-paid CEOs in recent years, bolstering top female executives’ continued trend of outpacing male CEOs in terms of average pay. 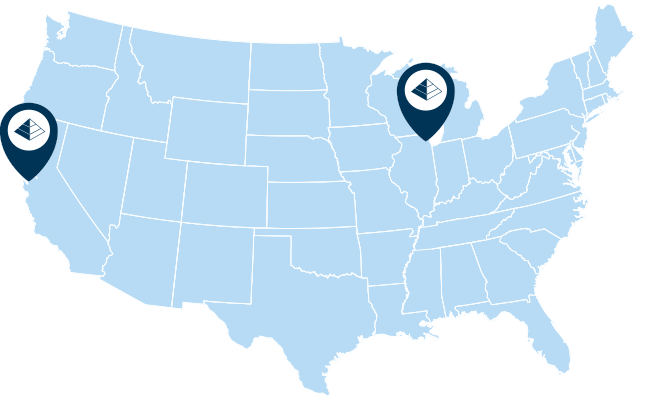 Reach out to Equilar to learn more about BoardEdge connections or request a download of any of the -plus executives and board members in the database. Include specific requests for individual downloads in the comment field. 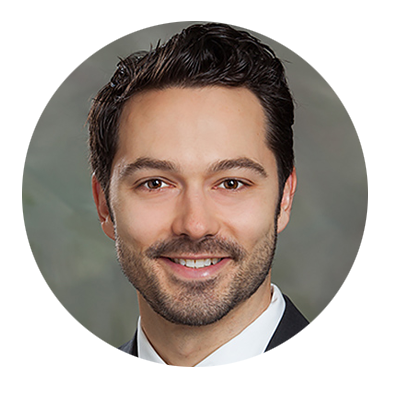 Dan Marcec, Director of Content & Communications at Equilar, authored this post. Contact him at dmarcec@equilar.com for more information on Equilar research and data analysis.